Veronica Reynolds credits God for sending her to Leon Bernal-Mizrachi and to Jonathan Kaufman, director of Winship's ambulatory infusion center, who oversaw her stem cell transplant following high dose chemotherapy. Veronica Reynolds' multiple myeloma is now in remission. She says Dr. Leon Bernal-Mizrachi "walked with me every step of the way. He's a great spirit. It doesn't matter who you are, you will be treated the same way." Veronica Reynolds was diagnosed with multiple myeloma in her mid-50s after two years of severe pain and inconclusive diagnoses. Multiple myeloma is a blood cancer that develops in the bone marrow when normal, antibody-producing plasma cells become malignant myeloma cells. The myeloma cells build up in the bone marrow, forming tumors in many bones of the body and preventing the bone marrow from creating healthy blood cells that your body needs to function properly. Because of ground-breaking research and clinical trials at Winship Cancer Institute and elsewhere, treatments for multiple myeloma are changing every day. 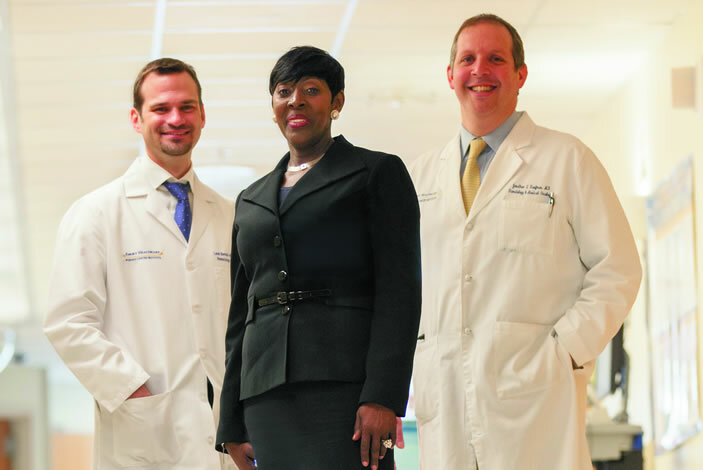 Emory doctors and researchers are studying the genetic components of multiple myeloma and using that knowledge to come up with better, more targeted drugs and individualized therapies. Treatment options include chemotherapy, bone marrow transplantation, stem cell transplantation, plus targeted drugs and combination therapies. For more information, see the Winship Cancer Institute Multiple Myeloma online information hub. Genetic research is a key to understanding how either race or ethnicity affect the incidence of different cancers and how these factors may contribute to different responses to the same treatments. Multiple myeloma, a blood cancer of the immune system's plasma cells, occurs two to three times more often in African Americans than in Caucasians. Finding out why could lead to better therapies for all. Winship Cancer Institute researchers couldn't do it without people like Veronica Reynolds. Reynolds — and her genes — are part of a massive multiinstitutional study to sequence the entire genome (more than three billion DNA base pairs) of 1,049 African Americans with multiple myeloma and another 7,084 without the disease. The Winship component, headed by Sagar Lonial, Bernal-Mizrachi, and Ajay Nooka, has gathered almost a third of the study's participants, thanks to the researchers' commitment and Georgia's high African-American population. Although still in process, the study is already producing valuable insights. Winship physicians routinely take tissue cells from multiple myeloma patients, looking for genetic variants that indicate who is at higher risk of relapse. They hope this new study will help identify why this disease occurs more frequently among African Americans and determine if there are treatments that may be specific to these patients. Winship researchers also are looking at genetic differences in another blood cancer, diffuse large B-cell lymphoma (DLBCL), the most common form of non-Hodgkin lymphoma. Compared to Caucasians, African Americans have a lower incidence of DLBCL – but are more often younger, with more advanced disease, and a lower chance of surviving. 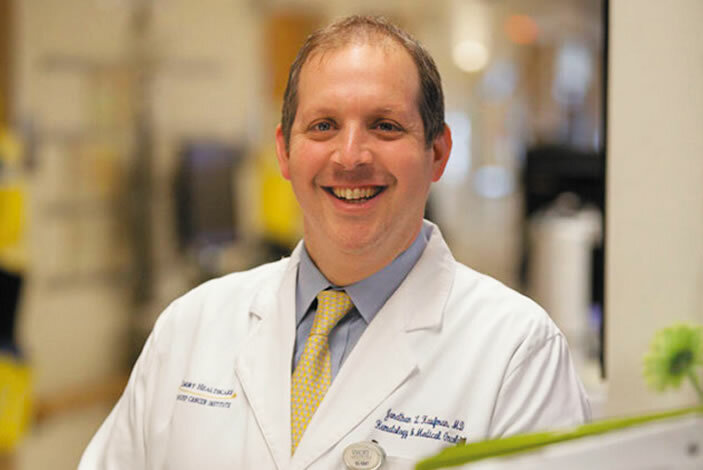 A multi-institutional study headed by Winship hematologist/oncologist Christopher R. Flowers, director of the Emory Lymphoma Program, is finding subtle genetic differences, depending on race, in DLBCL subtypes. This builds on earlier work by Bernal-Mizrachi's team, which demonstrated that different subtypes have different signaling pathways (cells that activate cell division and other functions). Abnormal activation can lead to cancer and cancer cell growth. The long-term goal is to develop new drugs to block different pathways. But the Bernal-Mizrachi team already has demonstrated that using different existing drugs, depending on patients' subtypes, itself positively changes outcomes. 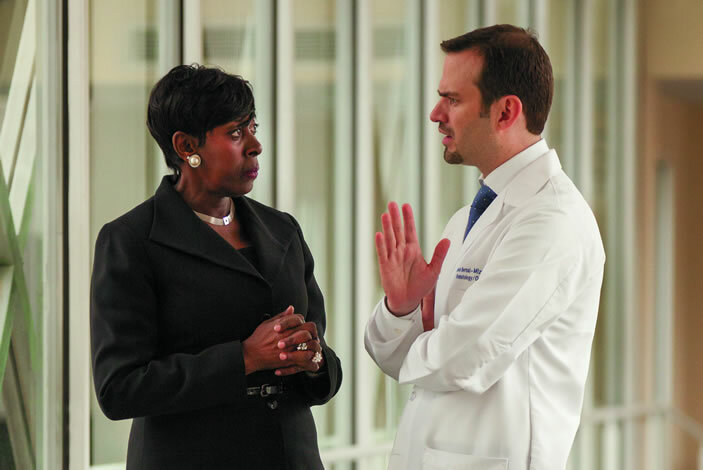 In fact, Bernal-Mizrachi says new drugs are changing how clinicians view racial disparities. For years, African-American multiple myeloma patients were believed to have poorer outcomes after autologous stem cell transplants (transplants using the patient's own stem cells), like that given Reynolds. But a recent Emory study of transplants from 2006 to 2012 showed newer maintenance drugs had improved outcomes for both blacks and whites. In fact, preliminary results indicate African Americans may actually have longer progression-free survival, suggesting a difference in response to the new drugs, something which Nooka, Kaufman, Lonial, and Bernal-Mizrachi are examining.